You are at:Home»The Foodie»Food»Simply the Best: London’s Top Restaurants? Simply the Best: London’s Top Restaurants? This topic inevitably crested the conversation over lunch recently at Ilia with Bloomberg’s critic Richard Vines, a man who dined three times in its opening month at Heston Blumenthal’s lionised Dinner (surely London’s most feverishly hyped opening in years?) and was recently Rene Redzepi’s guest, with Pierre Koffmann and Polpo’s Russell Norman, at his Copenhagen restaurant Noma, currently No. 1 in San Pellegrino’s list. We considered the differences between ‘best’ and ‘favourite’ – defined as providing the most enjoyable experience, consistently (i.e. the best – ‘to us’) and thus you might be less surprised to know that Richard’s top 10 London restaurants featured Soho’s BarShu and the City’s Lahore Kebab House among more obvious gastro-temples. And there are places that would feature in all but purists’ lists almost in spite of the food (Le Garrick and every gentleman’s club in a 5-mile radius of St James) but that have other factors important for an enjoyable dining experience: Service, ambience, clientele, location, reflection of Zeitgeist, ease of securing a table, quality/price ratio of the wine list – and in my business partner Boo’s case, an absence of Molton Brown hand wash. But to what extent do these factors obscure an objective assessment of food quality? For example, I happen to think La Gazette and Mien Tay deliver among London’s most authentic French bistro and Vietnamese cuisine respectively but how skewed is my judgement by both establishments being very local, very affordable and very welcoming to me? Also for me particularly – the former’s depth of great value older vintages and the latter’s BYO policy and proximity to New World specialists Eagle Wines must surely impact on my overall assessment, no? I would suggest, somewhat circularly, there are two categories of ‘best’ restaurants in London: Those you always recommend to die-hard gastro-tourist acquaintances who want to experience the city’s finest (with or without your company), and those places you enjoy taking people to yourself. Whilst you’d expect some overlap, the list will not be identical. The former are based almost wholly on the consistent quality of the food, divorced from other considerations (apart from price); the latter more dependent on those other contributing factors mentioned above. The Ledbury, Galvin La Chapelle, The River Cafe, Le Gavroche, St John, Dinner, The Square, Pied à Terre, Locanda Locatelli, Viajante. The Opera Tavern, Great Queen Street, The Ivy, Polpo, Ristorante Semplice, Terroirs, Trishna, Tignello, Mien Tay, La Gazette. This last list is slightly more humble (cheaper, and less Michelin driven at least) and closer to WineChap HQ, so more often frequented. If I had the time, money and a driver waiting outside then more of list 1’s choices might start appearing on it, but expediency, convenience and pricing have led me more often to the latter selection. So a benign circle ensues, where your treatment in regularly-patronised establishments improves and visits correspondingly increase in frequency. This is still arguably the most important aspect of eating out for many London diners – who are happy to overlook a bad meal, or poor wine choice in a regular haunt so long as we are greeted effusively by name on the door, led to our preferred table and comped an aperitif Champagne by the management. It’s these restaurants that remain our favourites and thus the best to and for us. 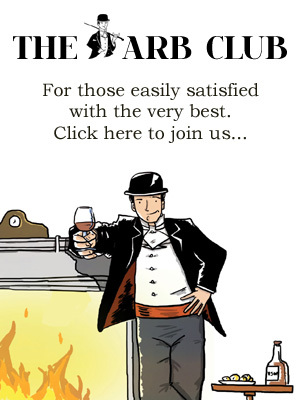 Tom Harrow, aka WineChap, is one of London’s most gluttonous movers and shakers, providing the world’s greatest plonks to some of London’s best restaurants, private collectors, gourmands and bon vivants. Although I have to admit I’ve not been for a while (because I no longer work/live in Docklands), Mem Saheeb in E14 was excellent and worth a visit. Manager has a memory that is second to none. Sorry to spoil your tidy magazine, but I got the name wrong in my previous comment. It is “Memsaheb on Thames” in Amsterdam Way, London, E14. Great list in cat2, will have to try out some i havent yet. Thank you. However, I was really surprised to see battersea’s Mien Tay on it. While always full with clapham junction party goers (could already be a warning sign, but not necessarily), this was a massive disapointment. Compared to real Vietnamese food in Nam, but also if comparing to Key Tre (the original and the new Soho gig). Please please try Key Tre (soho). You will be amazed at the difference.